This will put all of the source code in a new directory called geojs. 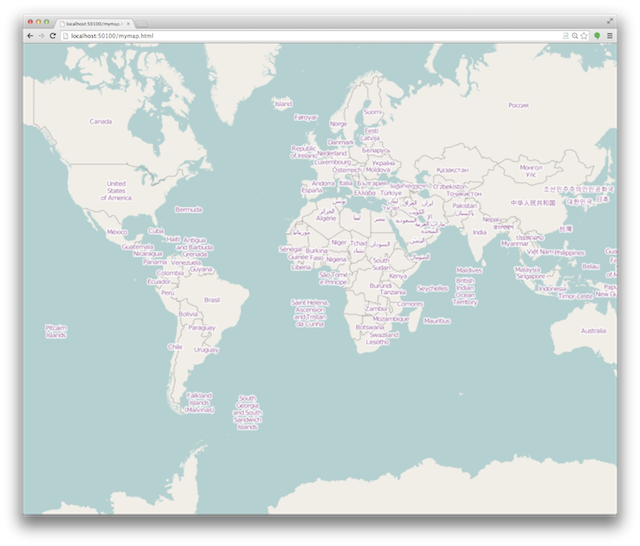 The GeoJS library is packaged together with another library vgl. Formally, this library was included as a git submodule. Currently, vgl is downloaded from bower to integrate better with workflows used by web projects. Additionally, you will be able to see all of the built-in examples at http://localhost:8082/examples.